Will never forget his clutch plays against Auburn this year. Would love to see him step up as a senior leader of the receivers. 2019 is bright. Geaux Tigers. Anderson has good hands. 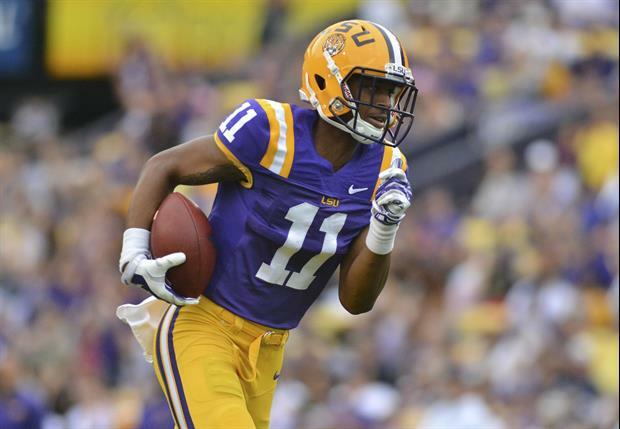 Overall, LSU's receiving corp should start where they left off in the bowl game and be off the charts this season, and if the offensive line gives Burrow ample time to throw, the sky will be the limit this upcoming season. Not to mention the addition of two elite running backs as well. Everyone was pissed at Ensminger at the end of the season last season, but at the end of the season next season, everybody will love him. Last season wasn't Ensminger's fault, but if the offense doesn't produce this season, then there will be no excuses. I'm not worried, I think LSU will have one of its best seasons on offense in a long, long time and I can't wait. I really like Anderson. Unfortunately we don't utilize him the way we should. I think he's the 3rd best returning WR behind Jefferson and Chase. I think next year Marshall will pass him up as our 3rd best receiver. Dee does have good hands, though - maybe the best hands on the team. I agree we DO NOT utilize Anderson and Sullivans size.. They can be monsters especially in the red zone.